Artist Sam Grasso’s mobile entitled Stress Blossoms. Local artist Sam Grasso donated a gorgeous mobile to hang from the ceiling of the Cole Creativity Center. 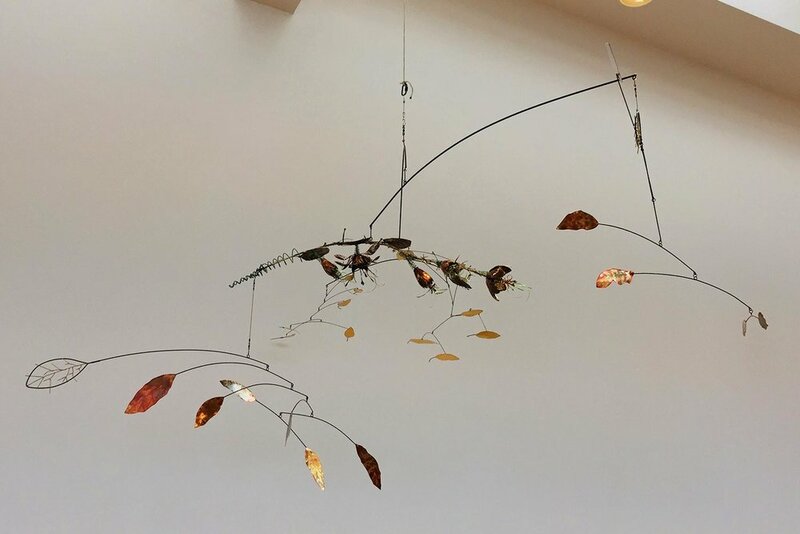 Entitled Stress Blossoms, and inspired by the aftermath of the 2018 Thomas wildfire, the kinetic sculpture includes elements of copper and gold leaf. The facade of the Museum’s Cole Creativity Center. 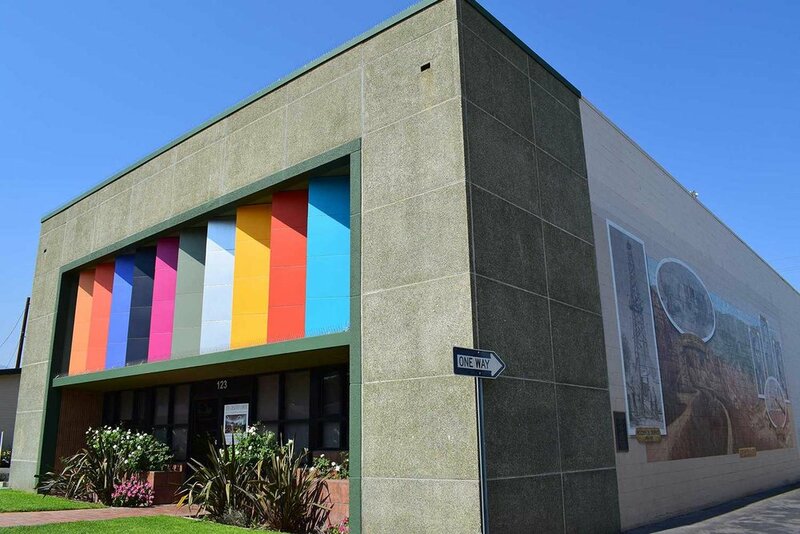 We learned that the Museum's new Cole Creativity Center has received the Santa Paula Chamber of Commerce's 2019 "Business Beautification Award!" 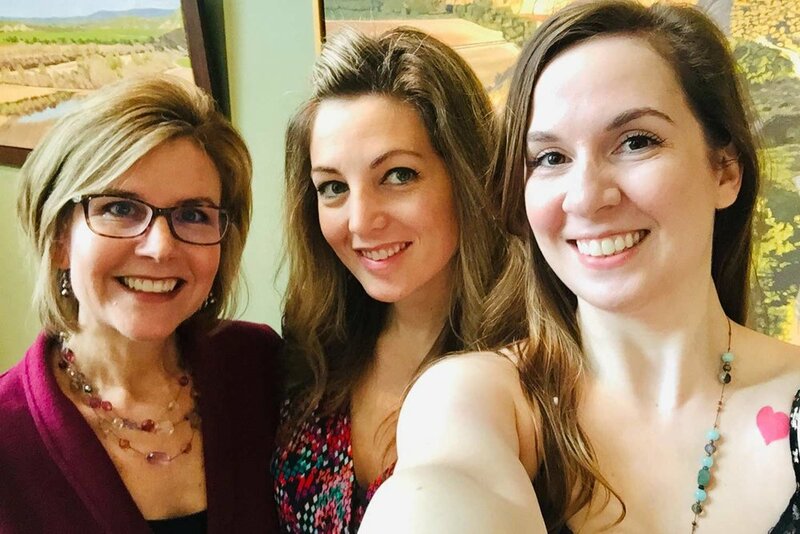 #MuseumSelfieDay, an international social media event that happens once a year, happened this week. 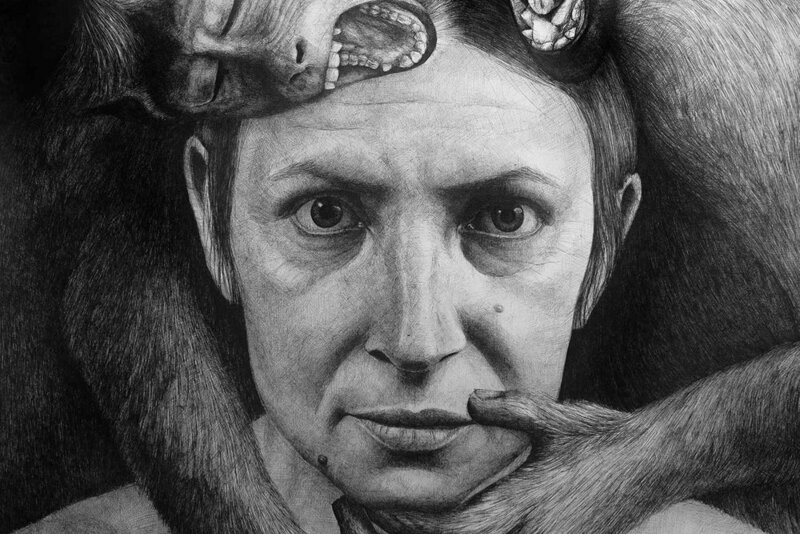 Staff members Jennifer, Jamie and Julie happily represented the Santa Paula Art Museum on Facebook and Instagram..
Self-Portrait with Monkeys by Pausha Foley, 2019, pen and ink on paper, Collection of the artist. Self-portraits began arriving for our I Am Me: Artists’ Self-Portraits exhibition, opening February 2, 2019. This week we got our first glimpse of the works that will be featured in Meredith Brooks Abbott, Susan Petty, and Gail Pidduck's exhibition, Common Ground, opening March 2, 2019.